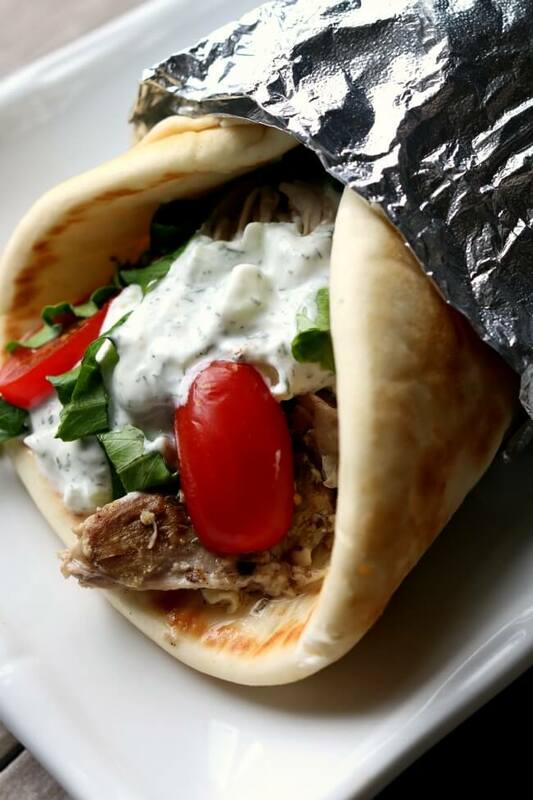 Instant Pot or Slow Cooker Chicken Gyros feature juicy seasoned tender chicken in pita bread with yogurt sauce, and this would be a perfect summer dinner choice. Choose the Instant Pot or slow cooker, whichever method you prefer! Click to see 30 Amazing Slow Cooker and Instant Pot Summer Dinners! You can make this Chicken Gyros quick and easy in the Instant Pot, or slow and easy in a slow cooker, either method ends with yummy dinner that everyone will love! Get the complete recipe for Instant Pot Chicken Gyros from 365 Days of Slow Cooking. Click here to see Karen’s recipe for Slow Cooker Chicken Gyros from 365 Days of Slow Cooking. Karen recommends using the 6-Quart Instant Pot or a 6-Quart Slow Cooker for Instant Pot or Slow Cooker Chicken Gyros. Click Here to see all the Chicken Recipes that have been featured on this site. My Instant Pot has been living on the kitchen counter all summer. Can't wait to try this recipe!